The origin of Tofu (“đậu phụ” in Vietnamese) dates back to 2000 years-ago in China. It first appeared in Vietnam around the 10th century before spreading through Southeast Asia. Its worldwide spread presumably matches with the spread of Buddhism as Tofu was an important source of protein in the vegetarian diet of the monks. 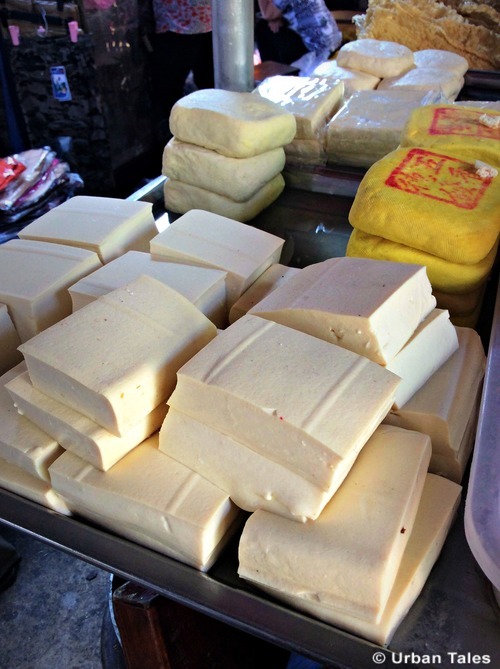 Tofu making is quite simple: by coagulating soy milk and pressing the resulting curds, Tofu makers obtain a thick paste. The process of coagulation of the protein and oil suspended in the boiled soy milk is done thanks to coagulants (salts & acids). Depending on which coagulant is used, the texture of the tofu will differ. That is why Tofu can be consumed soft, firm or super-firm. The firmer it is, the more calories and protein it contains. As you may know, tofu is a low-calorie food and contains generous amounts of protein & iron as well as calcium & magnesium, so it’s usually an important part of vegetarian diets as it replaces meat. Thanks to its light taste, it’s easy to combine with different sauces and there are various ways to prepare and cook it: marinated, fried, grilled, seared, boiled or baked. Lots of Vietnamese recipes include tofu. 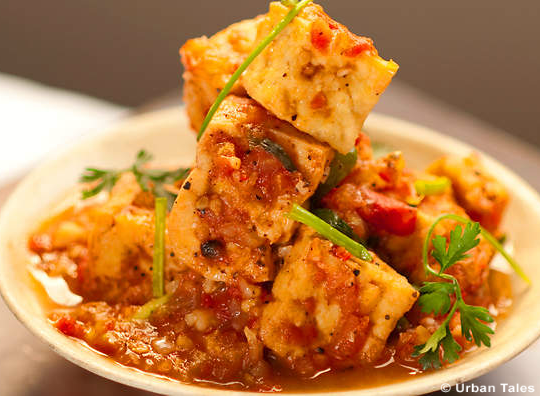 If you wish to try a very popular local dish including tofu, go for the fried tofu with tomato sauce or “đậu phụ sốt cà chua”. Nowadays in Vietnam, tofu is not really seen as a meat replacement anymore, but rather as an irreplaceable component of several dishes. Truth is many dishes actually combine meat/seafood and tofu. Its flavor is quite subtle and it is the main reason why lots of Western people find it boringly bland and squishy. In fact, one has to admit : it seems tricky to cook even though it is actually quite simple. Basically, Tofu absorbs marinades and gets crispy in a pan! 2. If you want to make it crispy, use a bit of corn flour on your pieces of tofu. 3. Last but not least: the way you cut the pieces is important. Depending on the way you want to prepare it, you can either dice it or cut it into rectangular thinner slices so it cooks faster. 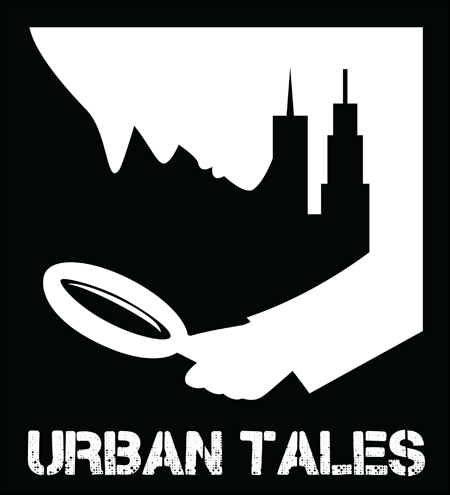 If you want to buy some tofu from the wet markets in the heart of Saigon’s Chinatown, book our self-guided tour and come investigate the strange case of Dr Lam!